The Jealous Haters Book Club 2019 Selection Final Voting! Hey there, everybody! Nominations are closed and voting is open! But before we get to the poll, let’s talk about which books didn’t make the cut despite receiving a high number of nominations. I disqualified three of the nominations for reasons I hope everyone understands. Those books were Faleena Hopkins’s Cocky Roomie, Tiger’s Curse by Colleen Houck, and Save The Pearls by Victoria Foyt. Though a large number of you had hoped I would tackle Cocky Roomie for its sheer badness and the fuckery perpetrated by its author, I decided that whatever attention she’s seeking, she won’t get more of it from Trout Nation. 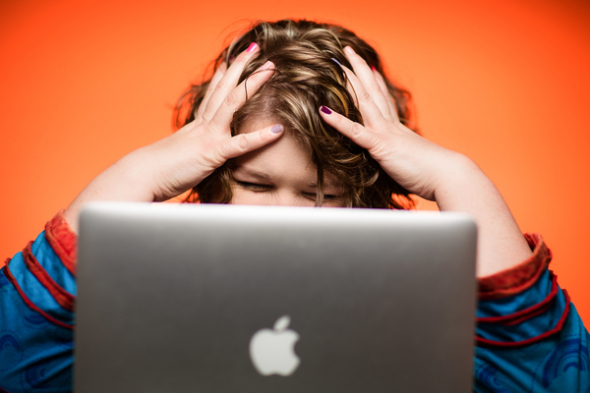 If Cocky Roomie had become our 2019 selection, she could have easily spun that into her victim narrative, driving herself back into the spotlight and furthering her sales and support from the “Be Nice” crowd. Since I don’t care to feed her pockets or give her more publicity for her undoubtedly horrible indie movie she’s been working on, I had to take a hard pass. When I looked into the issues present in Save The Pearls and Tiger’s Curse, I simply didn’t feel like I, a white person, am the right person for the job of recapping them and pointing out their problematic elements. Save The Pearls is apparently like if the Proud Boys decided to try their hand at YA, and Tiger’s Curse is rife with orientalism and poor representation of a variety of Asian cultures. While many of the racist themes in these books are totally obvious, there are probably a lot of subtle issues I would miss as a white reader. I don’t want to swerve out of my lane, speak on behalf of black people or Asian people, or create a situation in which glossing past issues I don’t understand would make the books seem less horrible than they are. I know that those of you who nominated these books are probably disappointed, but I hope you can understand where I’m coming from on these titles. Now, onto the books that made the cut. Read moreThe Jealous Haters Book Club 2019 Selection Final Voting! I love Ed Sheeran. There. I said it. I mean, maybe I’m a fan? But also, I kind of want to bully him? I’m fairly sure that if I saw him on the street carrying a cup of coffee, I would slap it out of his hand and yell, “NERD!” in his face. Or maybe I find him sexually attractive? I guess? Maybe I want to be his mom? I can’t tell. But I do know that I am drawn to him like a moth to a delicious, ginger porchlight. I open my arms wide for your shock, disappointment, bewilderment, and horror. Heap your recriminations upon me and my alleged bad taste. But I guarantee you will never be as angry with me–or with Ed Sheeran–as my nine-year-old. 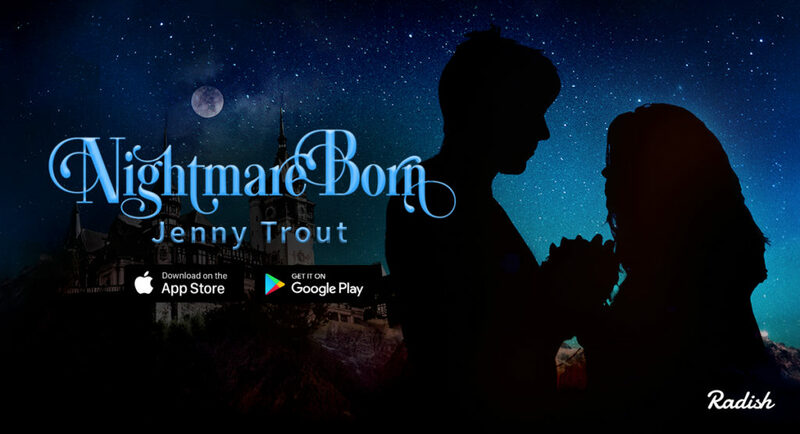 STATE OF THE TROUT: Nightmare Born cover reveal and release date, Snark Squad, and another Sims Let’s Play. Hey everyone! I finally, finally got the second draft of The Boyfriend off for another round of edits, so I can blog again! And I have a cover reveal! But not for The Boyfriend. See, that cover reveal (and a sneak peek) will be headed your way on Friday. Today, though, I’m revealing the cover of Nightmare Born, my Young Adult Urban Fantasy serial that will be debuting on the Radish app on October 23rd, just in time for Halloween! If you don’t remember or I haven’t talked about it before, Nightmare Born is the magical school trope we’ve seen before in YA, but with a twist: the magical girl is autistic. It was very important to me to write a story where a girl who stims, gets overwhelmed, has some stumbles socially, still gets to be the three-dimensional hero of her own story. There are vampires, ghosts, magic, witchcraft, and the Nightmare Born, creatures who look appear human and will steal your heart…literally. I’m so thrilled to be partnering with Radish on this. Keep an eye out for a promotional giveaway that will include one of a kind, original art by me! So…you can see why I’ve been pretty busy lately! I’m also super excited to announce that I’ll be a guest on the Snark Squad podcast this Halloween, talking about (what else) Buffy The Vampire Slayer Halloween episodes! More information will be available on that as we get closer to air date. I uploaded the wrong file. I’ll fix it later. PS. Nominations for the Jealous Haters Book Club 2019 Selection will close on Friday, so get your nominations in now! Also, please submit only one nomination per title. I can see the timestamps and some of you have been tricky. Naughty, naughty. So, remember last year when my daughter was all over the internet for screaming “THE NEW DOCTOR IS A GIRL!” during Jodie Whittaker’s reveal? And remember how any time anyone even mentions Doctor Who since that video seems to pop up? Well, they finally got a chance to meet, thanks to BBC America! You can watch a small portion of the call here (Jodie was incredibly generous with her time and spoke with Wednesday a lot longer than I anticipated). I love everyone who made this happen for my kid, who has literally never been this shy with anyone before. Jodie is The Doctor; she absolutely embodied Eleven’s quote, “You know, nine hundred years of time and space and I’ve never met anybody who wasn’t important before.” She made my daughter feel important and valued and I am ridiculously grateful. This is a moment Wednesday will never, ever forget. I swear to god, I’ll finish this edit or so help me. ETA: Don’t forget, nominations for our next Jealous Hater Book Club selections close in two weeks! Hey there, it’s your old pal, Jenny, coming to you live from the late-stage capitalist dystopia that is the United States of America. All of my grand plans for bringing my manuscript in on deadline got washed down the drain after last week’s newsworthy events sent me into a depression tailspin that was also experienced by basically everyone in the entire country. I’m sure productivity levels were through the roof last week, let me tell you. Anyway, what that means for you is that the blog posts will continue to be…not here until I get the freaking book done. I’m so close. Like, a chapter and an epilogue close. But I do have another Spooky Story Time for you! This one is about my two visits to the Sorrel-Weed House in Savannah, GA. Yes, it really is a half-hour long video. It’s edited down from fifty minutes. I just have a lot to say about paranormal investigations, okay? I’ll leave nominations open until October 19, at which point the three books with the most nominations will be moved to semi-finals voting. If you fill out the optional question about why it would be a good fit, I may use your anonymous answer in support of your title if it advances to the finals. That’s all the news that’s fit to print. Wish me luck as I head back into the writing cave.